Due to the ISBE requirements for student enrollment and attendance reporting – students in Middle school with an IEP that turn 15 years old become the reporting responsibility of the home school. The Middle School will email Glenbard 87 Special Education department with data requirements for any student with an IEP turning 15 years old. 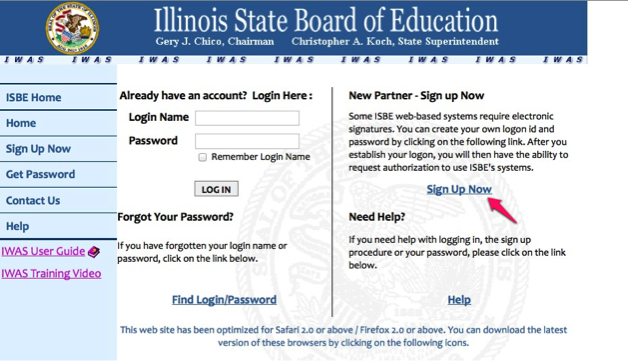 District assistant to the Executive Director of Student Services create a Web Help ticket and verify the ISBE enrollment status/exit date/IEP status/birthdate. Any data issues will be documented in the ticket and resolved with the middle school. When all data requirements are met, the District assistant to the Executive Director of Student Services will assign the ticket to IT PowerSchool Admin responsible for state reporting. IT admin will verify the status of the student in the ISBE system and PowerSchool. Check address for residency. When all data requirements are met the ticket will be assigned to the data specialist at the building level. (All required student data from the middle school will be attached to the ticket). The high school is the home school and the middle school will provide the serving school number. Data specialist – Search for the student in PowerSchool (8th grade). If the student exists you may exit the student with exit code ’17’ change in serving school and transfer to your high school. Exit date = one day before the student’s birthday (enrollment date). Data specialist – Enroll the student – Entry code = ’01’ Transfer in from another district. Entry comment = 15 year old Grade 8 from ‘middle school name’, Home school rcdts = your school, Serving school rcdts = provided with the middle school documentation. Enrollment Entry date is VERY important and will be supplied in the Web Help ticket. If the student does NOT exist in PowerSchool they need to be entered as a newly enrolled student in your high school. Powerschool IL page/General tab-State reporting flags should remain unchecked. Grade level =9, Enrollment type =Claimable, Membership share=1, Full-Time Equivalency=Full time student, IL FTE=1.00. District and School entry date= enrollment date for the student, graduation_year is the same as class they will graduate with. Data Specialist – Enter Student schedule – Off Campus public or private (supplied in the ticket). Data Specialist – Check Schedule setup. Enter the address and phone number information. These students will not be included in mass phone calls – Check ‘exclude from mass communication calls’ on the communications page. (You will have to query for these students before they enter grade 9 to include them in mass communication calls). Data Specialist – Assign Web Help ticket to IT Admin for state reporting for completion. IT admin will check previous school indicators in SIS, low income, homeless, title 1 and update powerschool/sis as needed. There will be additional detail information required from the middle school if a student is homeless. IT admin – Enroll student in ISBE SIS system. Add state id number to PowerSchool record. Add se_program = 8th grade off campus. Serving School /District Student Services department– Manage attendance/discipline. Serving School//District Student Services department – Manage grades. Special Ed School level Glenbard – Enter IEP flag/Disability/ Special Ed details. Email will be sent from the Web Help ticket to the Student Services assistant this information.